Take a closer look at the views from around our new stadium. Click the buttons below to see the lounge interiors and views from our premium seats. This new home will play a crucial role in realising our ambitions on and off the pitch.  A state of the art stadium giving our players every opportunity, while providing an enticing atmosphere to keep the most passionate Brentford fan happy and attracting more fans to the family. Our new stadium is one of the most significant and exciting developments in the history of Brentford Football Club. The cornerstone of our long-term vision, it will help ensure a sustainable future for the Club. Situated next to Kew Bridge station, less than a mile away from Griffin Park, it’s much more than just a stadium for professional football though. It will also be home to a professional rugby team and is at the heart of plans to regenerate the local area.